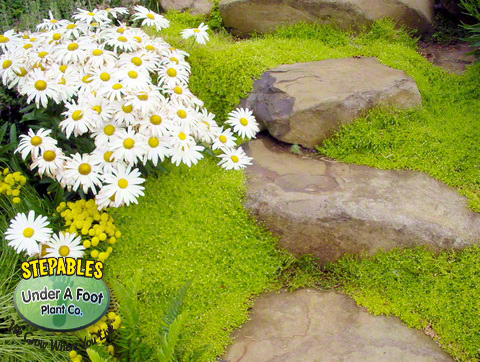 Scotch Moss is one of our top work horses in the STEPABLES Creeping Perennial line! Bright golden tufts of slender stems grow together to form a lush carpet of gold moss on the ground. 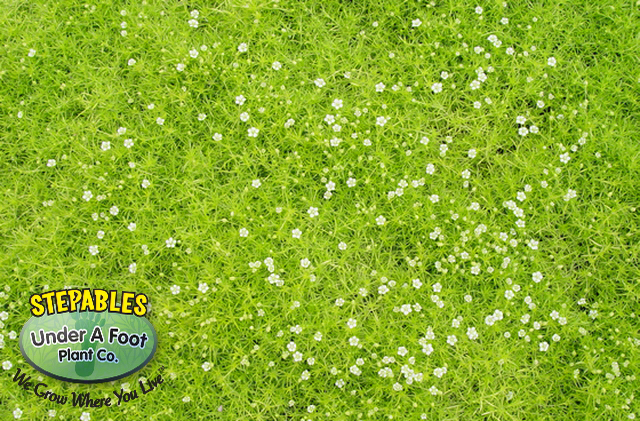 Scotch Moss has small, star-shaped, white flowers which engulf this creeping perennial ground cover in the spring. 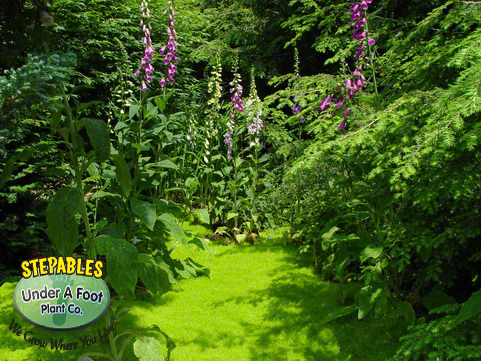 Ideal between rocks and stones and fantastic as a lawn substitute. Scotch Moss plant will brighten any dreary spot, but must have enough sunlight to keep compact. Sagina subulata Aurea is a stunning plant to use in your landscape. It will highlight any dreary area you have and brighten it up. Scotch Moss can bunch up and mogul over time between stones. Walk on your Scotch Moss as much as possible to keep your plant tight to the ground. Fairy gardeners! This plant is perfect for you! Got Containers? Yep! It's a winner in containers too! 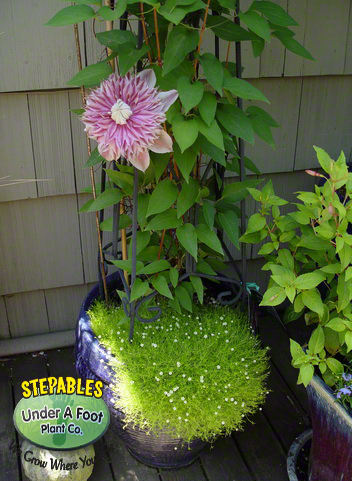 This STEPABLE Creeping Perennial will need more shade in Southern US States and more sun in Northern US states. Want More Landscaping Ideas? Check Out Our STEPABLES Curbside Plantings, Bark Replacement, Pathways, Lawn Substitutions and Courtyard Photos for More Great Landscaping Solutions!